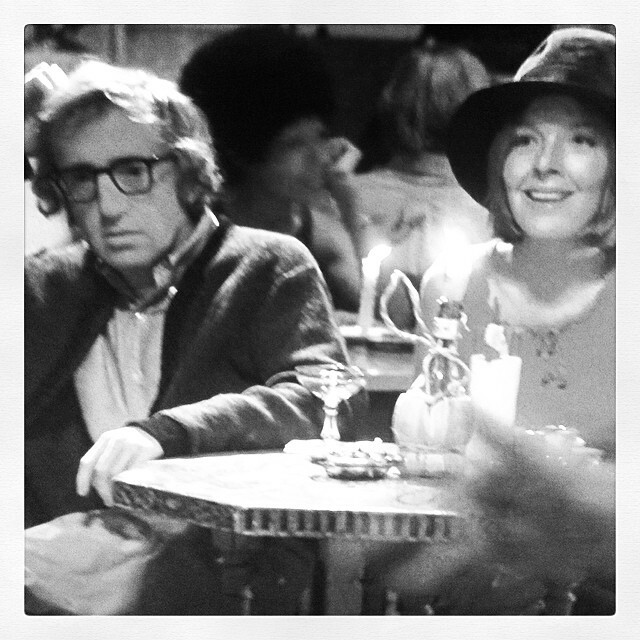 Classic Woody Allen: Play it Again, Sam. Allen acting as a neurotic failure at dating in 1972 San Francisco. Hilarious slapstick comedy of errors with amazing 70s fashion. I had a chance to view Coraline in true 3D at the most lovely movie theater in New York The Ziegfeld. Coraline is far better and darker than most children’s films.Â The visuals were completely inspiring and I can’t wait to see it again and again. Coraline and her kitty venture down the rabbit hole. The mouse circus performance was my favorite part. This movie looks like it is going to be really good. Based on a true story, EVERLASTING MOMENTS follows the story of Maria (Maria Heiskanen), who is married to an alcoholic and womanizing dockworker (Mikael Persbrandt). Her husband leaves the worries of family responsibilities entirely to Maria. Her situation is desperate until she meets a camera shop owner (Jesper Christensen) who encourages her to start taking and developing photographs. She soon begins to see the world in new ways that threaten her already perilous situation. Our beautiful pinup queen has passed away.Â Photographer Unknown. I can’t wait to see this movie (watch the trailer). Burn After Reading, the new Coen Brothers movie. This beautiful movie was so sweet and heartwarming, while presenting an apocalyptic, dark dystopian view of the future. There was hardly any dialogue and many of the scenes and sound design were totally sublime in the most beautiful way. Highly recommended. This lovely black and white movie was much better than I expected it to be.Â It was so exciting to see the first film made by one of my all time favorite photographers Anton Corbjin. Each shot was more gorgeous than the last and the acting was really impressive.Â It was so true to life, at times I thought I was watching a documentary.Â I can’t wait to see what Corbjin comes up with next. I just watched the lovely Paris Je T’aime, 18 short films about the people of the marvelous city of Paris. Each film was delightful but the last one by Alexander Payne was the most heartwarming. Highly recommended. I watched this gorgeous film yesterday and the best treat was the stunning cinematography. Each scene was crafted like a carefully composed luminous photograph. Many shots were all about the way sunlight fills a room, or the way dust travels through air. I loved the use of blurry lens vignettes, an very Victorian effect that I rarely see anywhere anymore (other than in the timeless photographs of Sally Mann). The story was kind of slow but this beautiful film is well worth watching. The cast was amazing too. Highly recommended. I am not quite sure why The Greatest Show on Earth (1952) directed by Cecil B. DeMille with Betty Hutton, Cornel Wilde, Charlton Heston won the Oscar that year.Â The film is way too long, over 3 hours, the plot gets a bit tiresome and the actors are better off doing acrobatic skits rather than trying to act.Â However, this movie is filled with tons of gorgeous circus eye candy, amazing costumes, well trained animals, and an overall incredible use of over-saturated color.Â It is even fun to watch even with the sound off. The Greatest Show on Earth reminded me of the days when my mom would take me to Madison Square Garden to see the circus when I was a kid.Â We would have so much fun watching the circus together, and it filled my six year old mind with endless inspirations. My stepdad just gave me this cd randomly. I guess because he knows I like strange obscure music by women. The GTO’s are an all girl groupies group produced by Frank Zappa in the late 1960s. One of the group’s members Pamela Des Barres, wrote the memoir I’m with the Band. Their cd Permanent Damage is a weird mixture of strange theatrical songs and random interviews. It is very rough music but it does precede some later girl bands like Liliput, The Raincoats, Rasputina, CocoRosie, and they even remind me of my friend Dame Darcy’s music. It is as if you gave the mischievous turn of the century girls from Picnic at Hanging Rock a recording studio in 1968. I watched the Oscars last night with a room full of very loud ladies and two boys, and I realized that The Oscars are the Super Bowl for women (and gay men).Â I was happy to see that the eternally handsome and amazing DDL won the best actor award for TWBB my favorite new movie by PTA. Look at their beautiful official movie site. Totally interesting NPR story that I heard today about one of my favorite (complex) characters of all time. Necessary evils: Whether plotting a conquest at a picnic or engineering a comeback from poverty, Scarlett O’Hara (Vivien Leigh) had no qualms about doing what it took. In mourning: Scarlett broods while Rhett Butler (Clark Gable) woos.